Designed specifically for vehicles from the 1960’s and 70’s. Like the original 20W-50’s of the 1960’s, Classic 20W-50 is a full-bodied, heavy duty oil giving excellent film strength under load and resists loss of viscosity. An SAE 20W-60 oil which replaces SAE 30 and 20W-50. 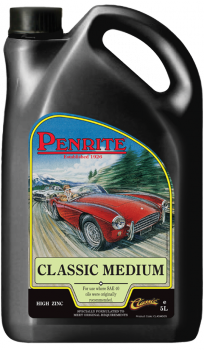 A mineral oil formulated for most post- war classics, such as MG, Porsche, Jaguar and Triumph. Great for 6 volt battery cars, where cranking speeds require an engine to turn over with minimal drag. A 25W-70 oil replacing SAE40. Formulated for many 1950’s to 1979 car engines and many post-war motor cycles. 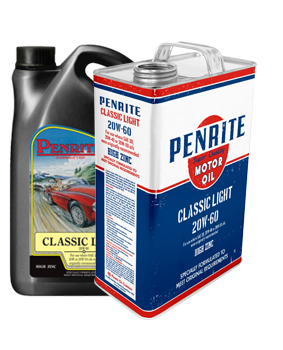 Contains a complete additive pack and, provides improvements in hot oil pressure and oil consumption compared to lighter grades. A special 40-70 multigrade oil, ideal in engines which called for an SAE 50 monograde, or where Castor Oil was originally recommended. Ideal for both cars and motor cycles using ball and roller bearings.